Aamir Khan celebrated his Bollywood’s biggest blockbuster PK’s victory with his team at co-producer Vidhu Vinod Chopra’s office. Limited and exclusive guests were on the list. 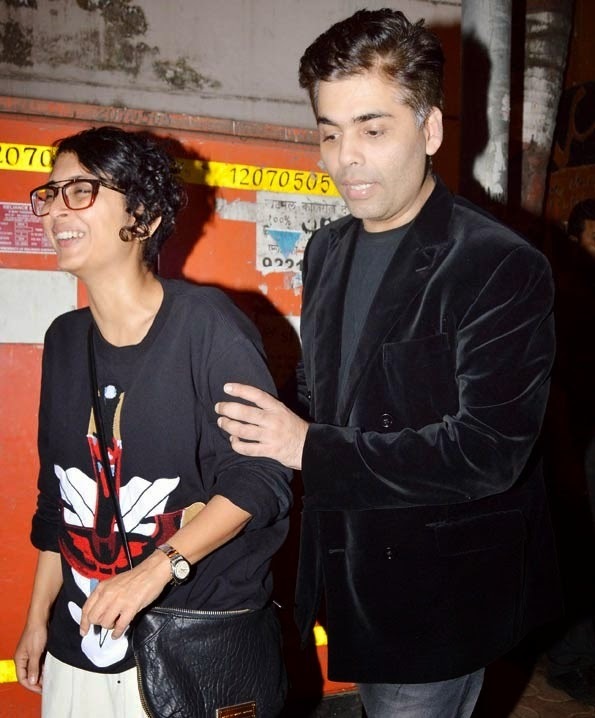 Spotted Karan Johar, the film-maker of Pk among the prominent celebrities, others hosts included film’s director Rajkumar Hirani, Disney India’s Siddharth Roy Kapoor, writer-lyricist Prasoon Joshi and composer Shantanu Moitra were there. 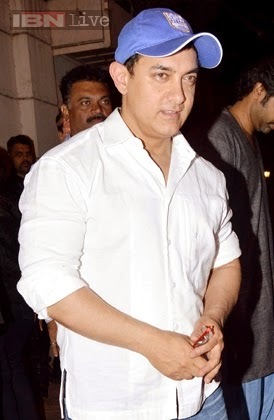 Aamir as well as his wife Kiran Rao looked relaxed at the party – Aamir was wearing a white shirt and denims and his wife Kiran Rao sported a funky tee with a heavy metal logo, and designer boots. Anushka Sharma who is holidaying with her boyfriend Virat Kohli, Cricketer, was missing from the party.